When you love doing something, it is a real bonus to be able to share some of your knowledge with people who have a similar interest. 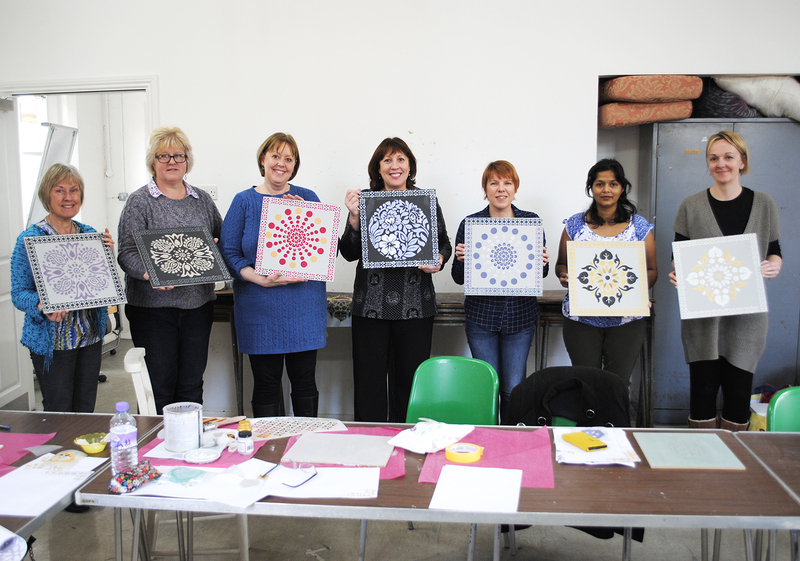 I spent yesterday morning teaching a stencil workshop to seven lovely women, with the help of my teenage daughter who was earning half of an expensive jacket I had bought for her the day before! 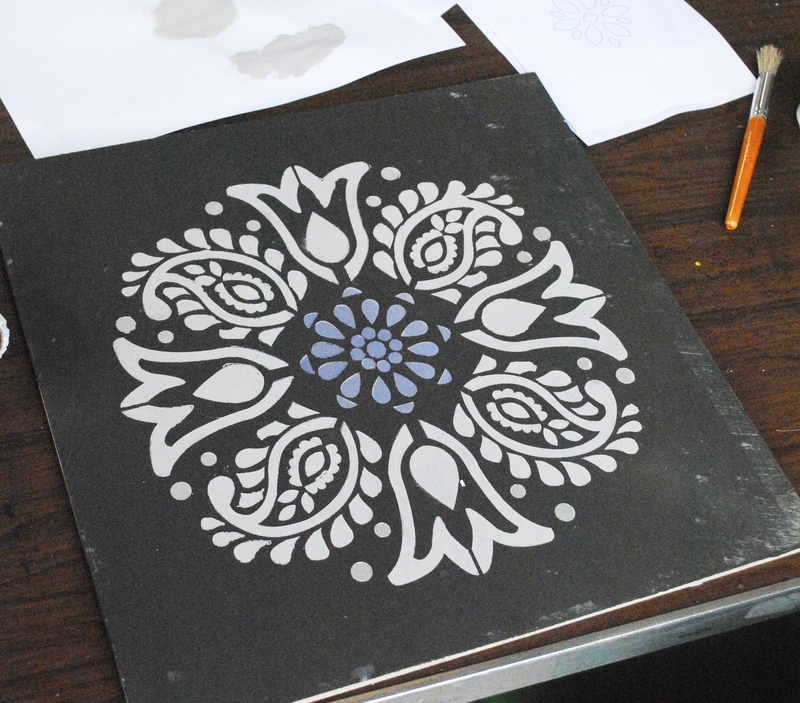 We began the workshop by working with the Relief Stencil Paste, so that it would have time to dry before being painted. 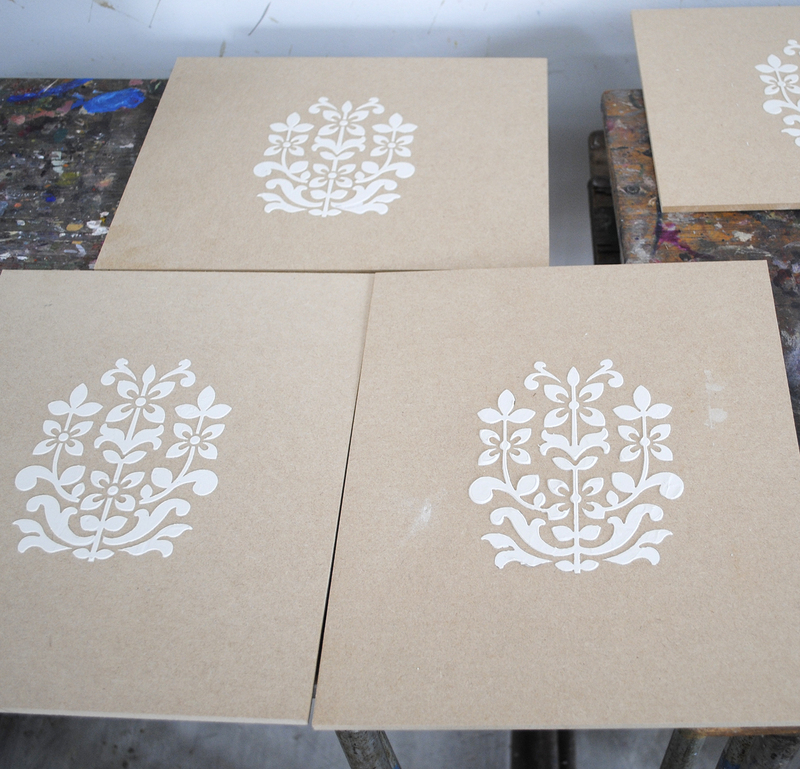 Using the Jaipur Stencil, it took a matter of minutes to create the lovely raised motifs on MDF boards. 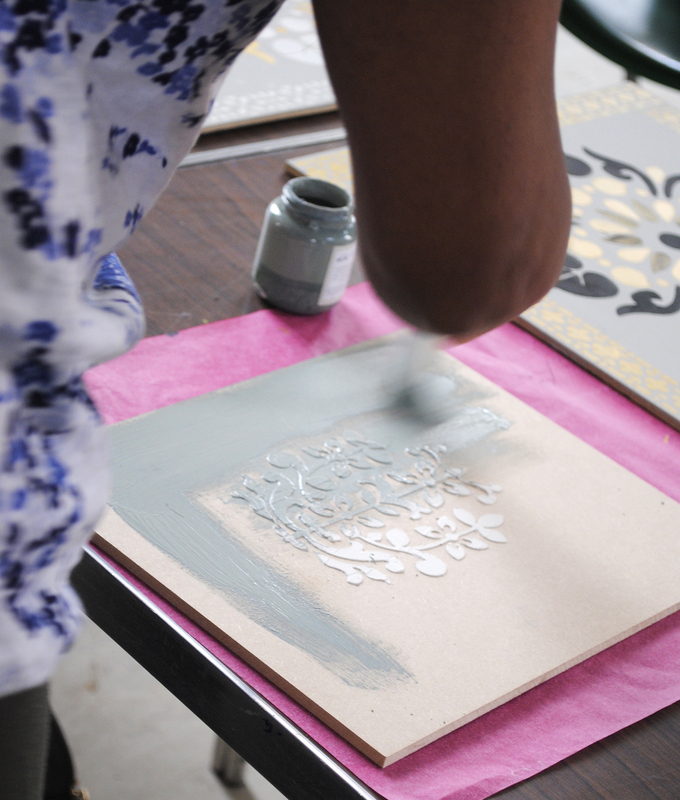 We then covered all of the basics of stencilling, which included cutting a simple stencil from Mylar and how to stencil a border pattern around corners. 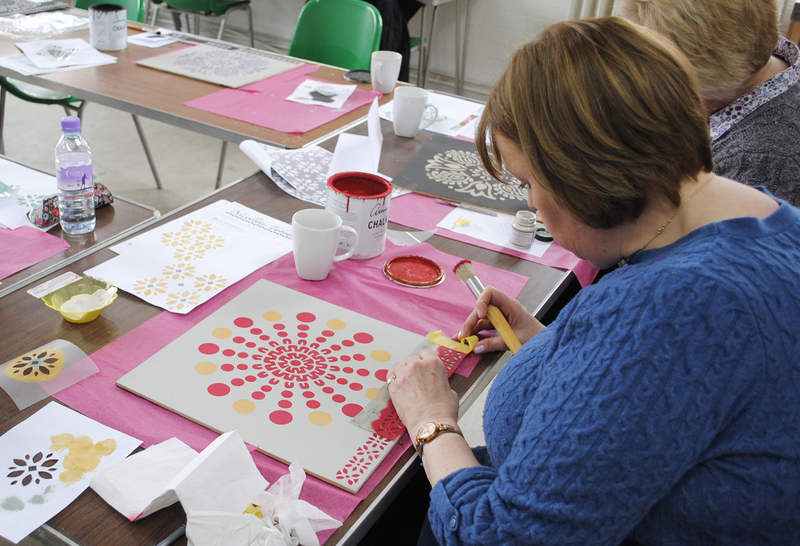 The main mantra of the morning being, less is more when loading the brush with paint! 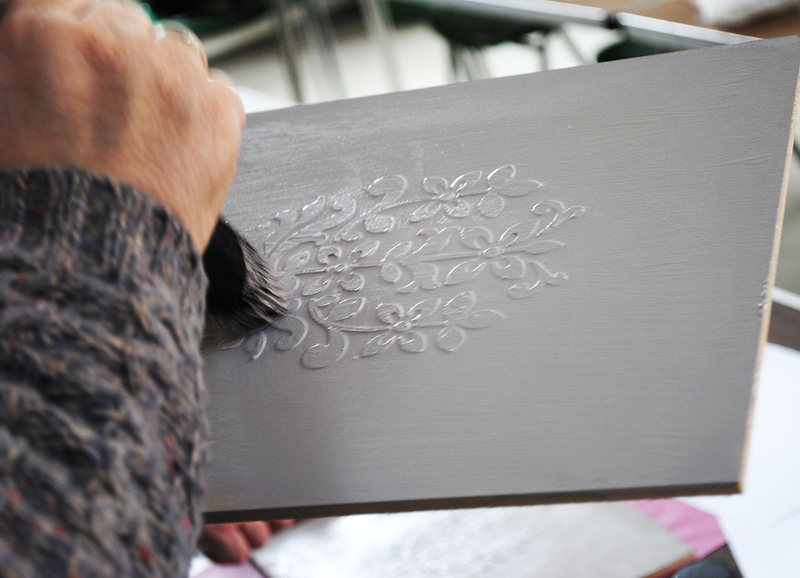 Finally we ended where we had begun, applying a quick coat of paint to the relief stencilled boards. The results were fantastic. All in all, it was a great morning and because I had bought that expensive jacket the day before, I didn’t have to wash anything up!